4.9 out of 5, based on 71 ratings and 71 reviews. 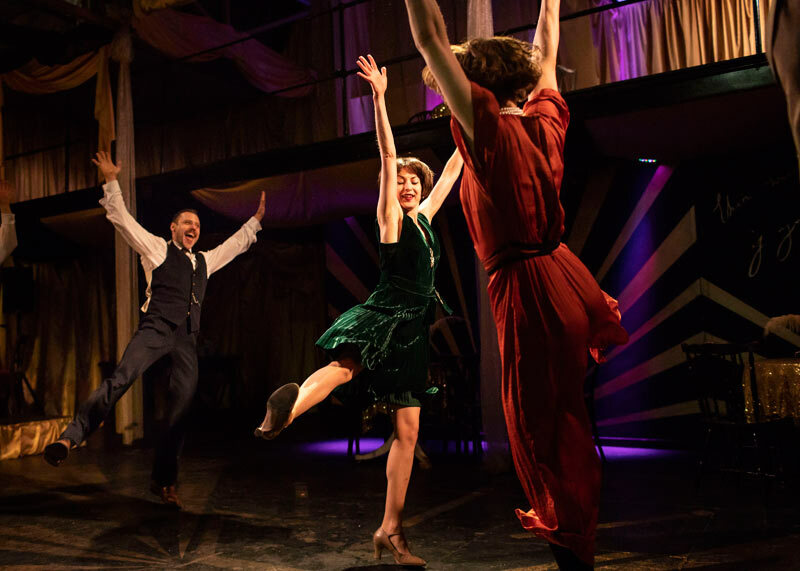 Step into a heart-racing immersive adaptation of F Scott Fitzgerald’s seminal jazz-age novel The Great Gatsby, which puts you in the heart of the action. Slip on your dancing shoes and watch the story unfold around you in this unique theatrical performance. 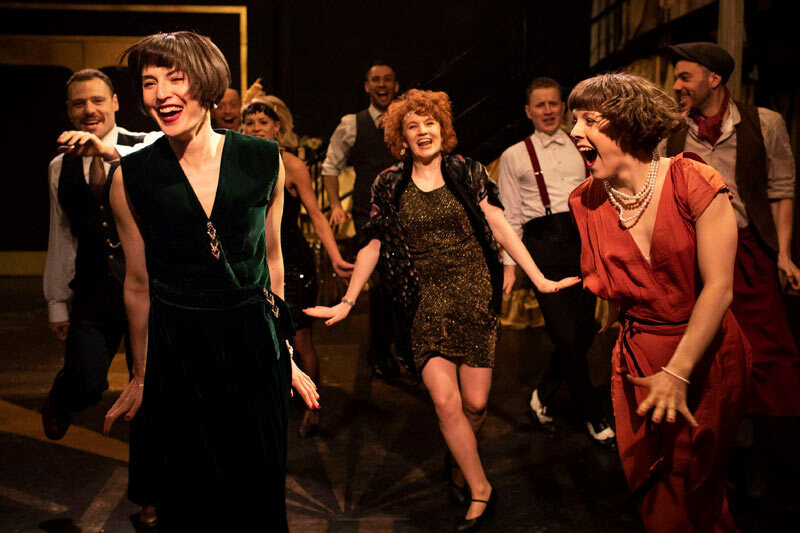 It’s the roaring twenties – an era of bootleg liquor, red-hot jazz and hedonistic pleasures. Jay Gatsby has invited you to one of his infamous parties and that’s not an invite you want to turn down. 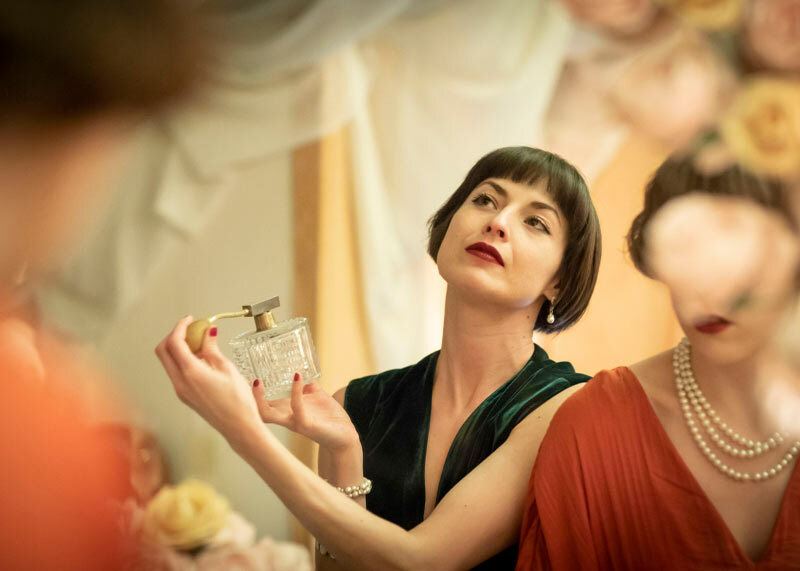 At Gatsby’s Drugstore until September 2019, book your The Great Gatsby tickets today! *Recommended for ages 14+. Children under 18 must be accompanied by an adult over the age of 18. 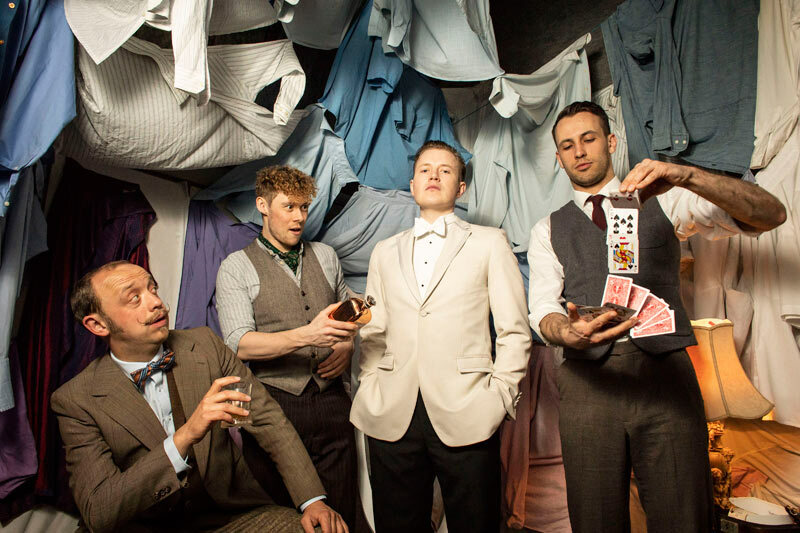 **This is an immersive theatre production without seating where guests are encouraged to walk around, mingle and have a drink. 1920s attire is welcomed, although not essential. Doors open 30 minutes prior to your performance time. "The Great Gatsby", Gatsby's Drugstore tickets may be purchased by following the Book Tickets links on this page. You will be purchasing your "The Great Gatsby" tickets from the Ticket Machine Ltd, trading as LOVEtheatre. We will always provide you with our contact details before you book your "The Great Gatsby" tickets. Where applicable, "The Great Gatsby", Gatsby's Drugstore ticket prices may include a booking fee which will always be shown separately. LOVEtheatre will not charge you any additional amounts for the dispatch/delivery of your "The Great Gatsby" tickets. Prices are subject to change without notice. Your purchase of "The Great Gatsby", Gatsby's Drugstore tickets is conducted securely online using 256-bit encryption assured by DigiCert. On receipt of full payment for your "The Great Gatsby" tickets we will issue a confirmation of booking. When booking online this will be in the form of a confirmation page and accompanying confirmation email. A tad cautious initially. However, embrace the uniqueness of this show. The actors were all incredibly talented. Really enjoyed the show,great dancing singing and acting ! 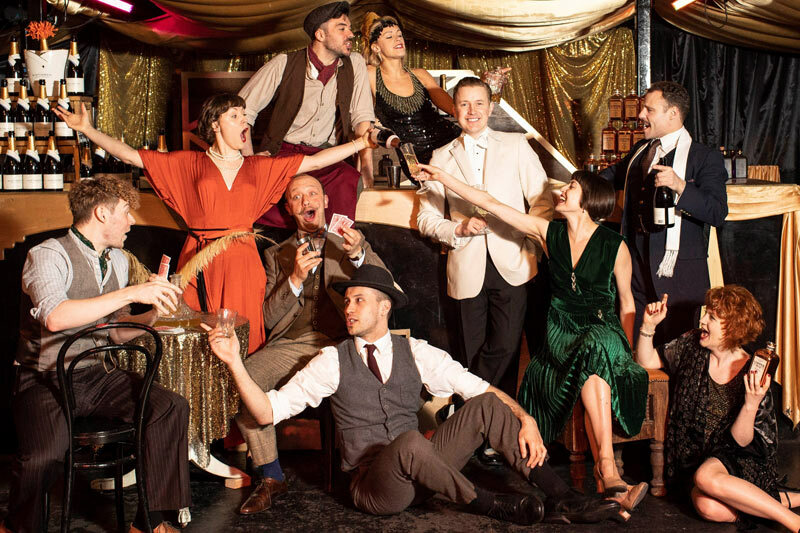 It was a fantastic afternoons entertainment at Jay Gatsby’s 1920s party. A wonderful show old sport !!! ?? TGG was absolutely incredible, one of the best theatre experiences I’ve ever had, myself and my two friends absolutely loved it as well as the fact we could go again and not see the same play twice. A wonderful show, entertaining, engaging, surprising. 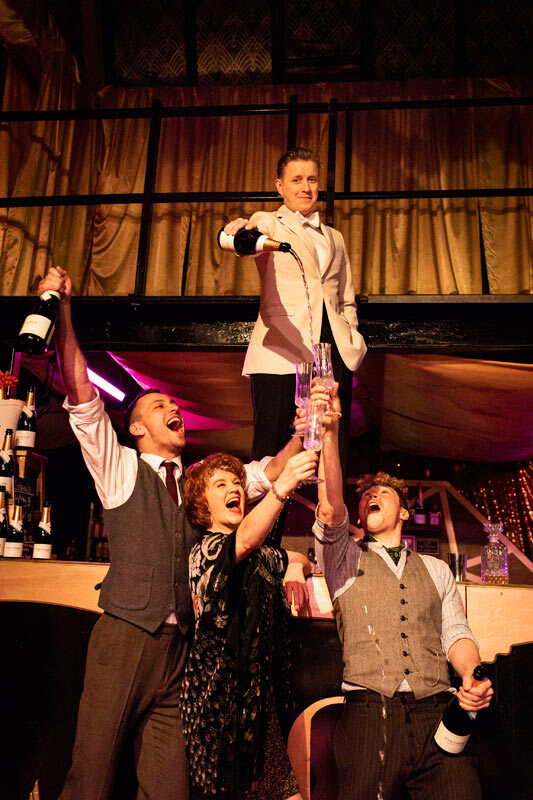 From the beginning till the end the audience is invited to really be part of Gatsby’s world - have fun, explore, share the emotions...I felt that each member of the cast was great - perfectly chosen. The actors play with flair but also with a lot of warmth. A memorable, immersive experience. Make sure to be dressed for the occasion!